Another amazing fly-in at Montebello is in the books. Kudos to COPA for their part in making this annual event such a success. I would like to give a plug to the Western Canada’s biggest, and dare I say ‘other’ best winter fly-in on the frozen surface of Lac La Biche, Alberta. Started in 2010, the annual event regularly draws over 80 aircraft of all sizes and makes. From ultralights and all types of light aircraft to helicopters, light twins and multi-million dollar corporate aircraft. 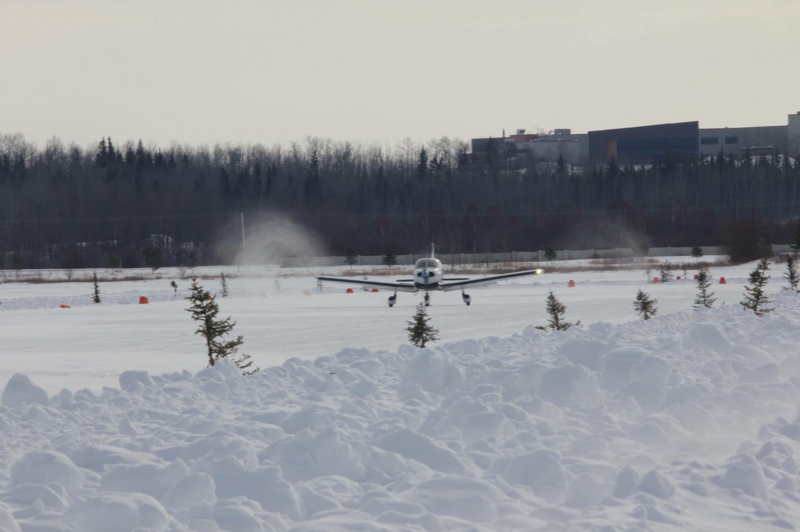 Each year, Lac La Biche’s COPA Flight 165 joins forces with the Winter Festival of Speed to host car, snowmobile, motorcycle and ATV races, all on the frozen lake. There are horse-drawn sleigh rides, axe throwing and a trapping display to enjoy. 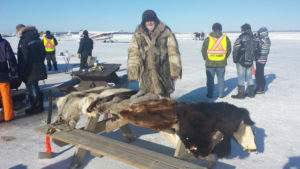 With such a full weekend guaranteed to excite anyone with a pulse, we would like to extend an invitation to COPA members to join us on the lake and see if you agree that the Lac La Biche Ice Fly-in is indeed one of Canada’s best. The runway is approximately 4000 feet by 100 feet, and expected orientation is 13/31, with right-hand circuits on 31. Unicom is 123.20 and automated weather is available on 122.125. The location may vary, but traditionally it is three miles north of the Lac La Biche airport (CYLB). On-ice refreshments include roasted hot dogs, doughnuts, hot chocolate and coffee and other fare from various food vendors. This year we remember flying club member ‘Trapper’ Bob Gerbrandt, who passed away suddenly in December, 2018. Gerbrandt, who would always have his furs on display, wood-roasted a pig at last year’s Ice Fly-in. In memoriam, we plan another pig roast on Saturday afternoon. Club member ‘Trapper’ Bob Gerbrandt, in whose memory another pig roast is being held. COPA Flight 165 encourages all aviation enthusiast to attend this year’s event Feb. 23-34, 2019 to see why we think this is Canada’s ‘other’ Best Winter Fly-in. Check our flying club’s website for updates/conditions. Contributed by Ken Zachkewich for COPA Flight 165. Photos courtesy of Stacey Skyrpan.